One of the projects of the Coalition is the Advocates for Community Empowerment (ACE) Project. 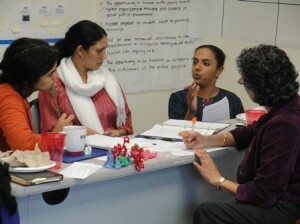 This project is an opportunity for community-based organizations to participate in meaningful trainings and peer exchanges to advance their work on behalf of South Asian communities. The ACE Project combines intensive trainings and ongoing technical assistance to assist participating organizations incorporate policy advocacy, documentation and communications into their existing work. Organizations attend two in-person trainings as well as identify ongoing projects that can be enhanced through monthly technical assistance calls. SAALT is pleased to announce the Advocates for Community Empowerment Project cohort for 2012! SAALT is excited to work with these six organizations in the fourth year of ACE as they strengthen their ability to engage more deeply in advocacy, communications, and intersectional analysis (such as gender and economic development lenses) through peer exchange and trainings. 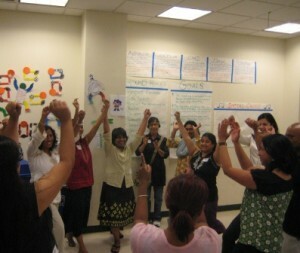 SAALT brought together the second group of ACE Project participants in 2009: Apna Ghar (IL), Shakti Peer Group (NY), South Asian Council for Social Services (NY), South Asian Network (CA), UNITED SIKHS (NY). The first training took place in July 2009 and incorporated curricula and exercises around social change work, strategic communications planning, spokesperson training and the core concepts of internal and external advocacy. Before the first training and in anticipation of the second (Jan 2010), SAALT checks in with participating groups about advocacy and communications goals via technical assistance calls. In 2008, SAALT worked closely with five organizations that have a focus on women or women’s rights issues. 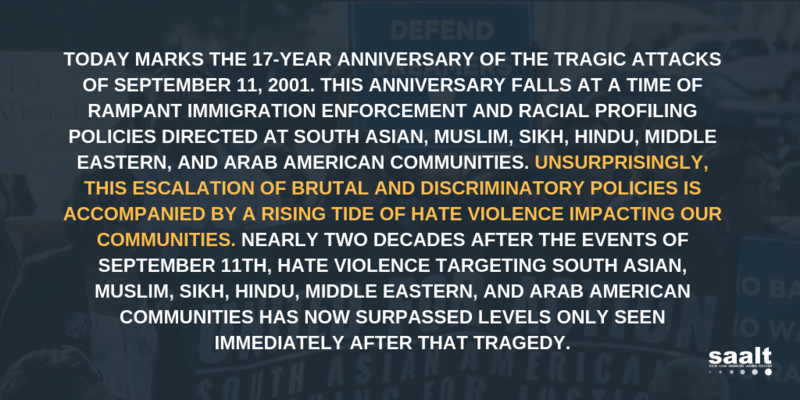 The five participating organizations are Adhikaar for Human Rights (NY), Andolan (NY), Counselors Helping (South) Asians/Indians (MD), Daya (TX) and Raksha (GA). The two in-person trainings were held in the Takoma Park/Silver Spring area in July and November 2008. The trainings gave participants the opportunity to share experiences and best practices as well as engage in discussions and skills-building around political education, policy advocacy and communications. Participants reflected on the value of the experience and shared their intention to use components of the training with Board members, volunteers and other staff.